What Can You Eat for 100 Calories? The 100 calorie packs available in most major food markets can be a handy way to maintain snack portion control between meals for kids and adults. The challenge… read the nutrition label and see what the salt, fat, and carbohydrate intake is in this low calorie snack. It may be 100 calories, but it is not necessarily a healthy snack. 100% Orange Juice – 7 fluid oz. Happy Snacking on 100 Calories! The U.S. Dept. of Agriculture Offers the Following Food Safety Tips for the Holiday. Wash hands with warm water and soap for 20 seconds before and after handling any food. Wash food-contact surfaces (cutting boards, dishes, utensils, counter tops) with hot, soapy water after preparing each food item. Rinse fruits and vegetables thoroughly under cool running water and use a produce brush to remove surface dirt. When shopping in the store, storing food in the refrigerator at home, or preparing meals, keep foods that won’t be cooked separate from raw eggs, meat, poultry or seafood—and from kitchen utensils used for those products. Consider using one cutting board only for foods that will be cooked (such as raw meat, poultry, and seafood) and another one for those that will not (such as raw fruits and vegetables). Do not put cooked meat or other food that is ready to eat on an unwashed plate that has held any raw eggs, meat, poultry, seafood, or their juices. Use a food thermometer to make sure meat, poultry, and fish are cooked to a safe internal temperature. To check a turkey for safety, insert a food thermometer into the innermost part of the thigh and wing and the thickest part of the breast. The turkey is safe when the temperature reaches 165°F. If the turkey is stuffed, the temperature of the stuffing should be 165°F. Cook eggs until the yolk and white are firm. When making your own eggnog or other recipe calling for raw eggs, use pasteurized shell eggs, liquid or frozen pasteurized egg products, or powdered egg whites. Don’t eat uncooked cookie dough, which may contain raw eggs. Refrigerate leftovers and takeout foods—and any type of food that should be refrigerated, including pie—within two hours. Set your refrigerator at or below 40°F and the freezer at 0°F. Check both periodically with an appliance thermometer. Thaw frozen food safely in the refrigerator, under cold running water, or in the microwave—never at room temperature. Cook food thawed in cold water or in the microwave immediately. Allow enough time to properly thaw food. 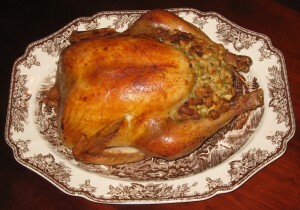 For example, a 20-pound turkey needs four to five days to thaw completely in the refrigerator. Leftovers should be used within three to four days, unless frozen. 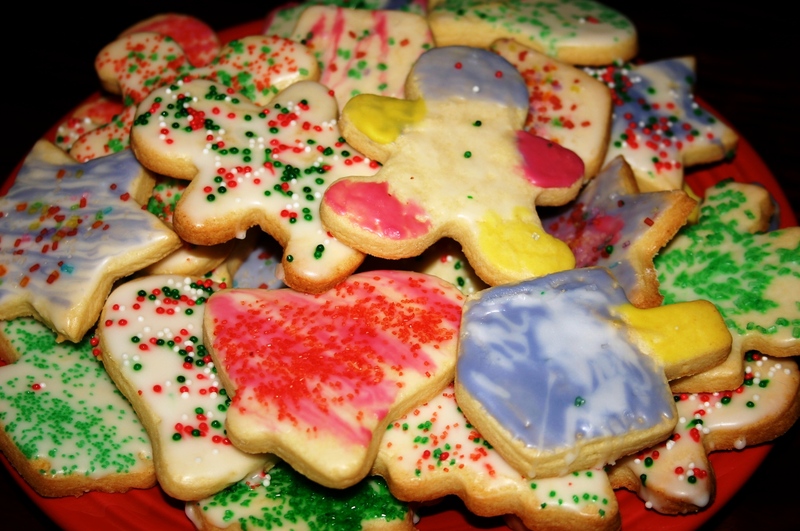 The Partnership for Food Safety Education sends the following message about a favorite Christmas tradition…cookie making. Resist Temptation: Don’t Eat Raw Cookie Dough! Do not eat raw cookie dough or any other raw batter that contains raw eggs. Follow directions on packaged dough for cooking temperatures and times. 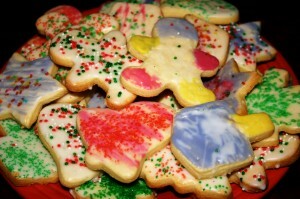 Wash hands, work surfaces, and utensils thoroughly after contact with raw dough and batter products. Always keep raw foods separate from other foods to prevent cross contamination. Chill batter and dough if you are not using it right away. The U.S. Department of Health and Human Services, HHS, wants all Americans to know about programs and resources to help children and parents curb obesity including the President’s Council on Fitness, Sports and Nutrition, the Centers for Disease Control and Prevention, and the National Institutes of Health’s We Can!! (Ways to Enhance Children’s Activity & Nutrition)® program. Through public-private partnerships, safe places to play and nutritious food options are being made available in neighborhoods and schools across America. Exciting new programs include the Partnership for a Healthier America and Olympic Team USA’s commitment to provide 1.7 million kids the opportunity to participate in free and low cost physical activity programs offered by the United States Olympic Committee (USOC), USOC National Governing Bodies for sport, and others over the next year. The U.S. Department of Agriculture recently released a new farm to school grant program designed to educate children about food sources, and increase the availability of locally sourced foods in schools. Over the past 30 years, the childhood obesity rate in America has almost tripled. According to the Centers for Disease Control,CDC, in 2010, approximately 17 percent of children and adolescents aged 2-19 years were already obese. 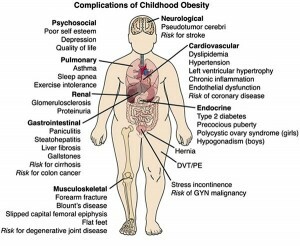 Children and teenagers who are obese are more likely to become obese adults. 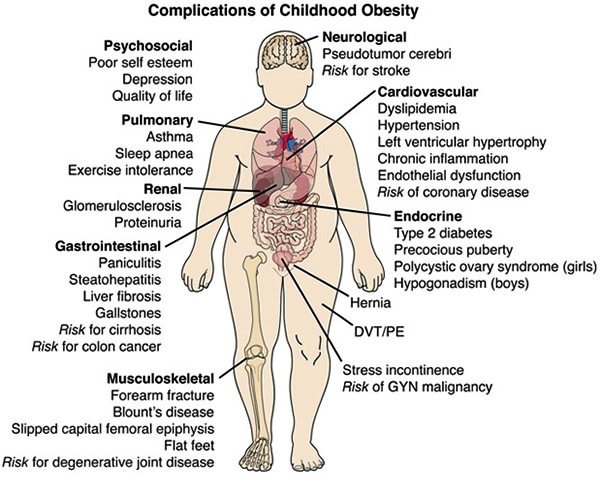 Overweight and obese youth are at greater risk of developing serious adult health problems such as heart disease, type 2 diabetes, stroke, certain types of cancer, and osteoarthritis. That is why HHS, with the President’s Council, supports First Lady Michelle Obama’s goal to end childhood obesity within a generation through her Let’s Move! program. Everyone has a role to play – parents and caregivers, school teachers and administrators, community leaders, local elected officials, after school programmers, and health care providers. According to the 2008 Physical Activity Guidelines for Americans, children and adolescents aged 6–17 years should spend 60 minutes or more being physical active each day. The Dietary Guidelines for Americans, 2010, released by HHS and USDA, provide nutritional guidance for Americans to promote good health, reduce the risk of chronic diseases, and reduce the prevalence of overweight and obesity. The guidelines recommend balancing calories with physical activity, and encourage Americans to consume more healthy foods like vegetables, fruits, whole grains, fat-free and low-fat dairy products, and seafood, and to consume less sodium, saturated and trans fats, added sugars, and refined grains.